Photoluminescent Glow-in-the-Dark egress materials are installed to help lead high-rise building occupants from danger to safety during a blackout or fire emergency. Now more than ever, it is essential to review the exit materials and systems in these locations to ensure that all comply with building safety codes. Here are some useful tips to help with this preparation. 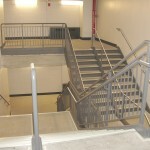 Install the proper Photoluminescent Glow-in-the-Dark Egress Path Markings in high rise building stairwells. Refer to the SUMA Industries Website, and browse the “Photoluminescent Product Selection and Use” section to guide you in the selection of the most appropriate materials for each application. Be sure to install full-width bevel-edged landing leading edge and stair tread marking strips that firmly adhere to concrete surfaces and minimize trip hazard risks. 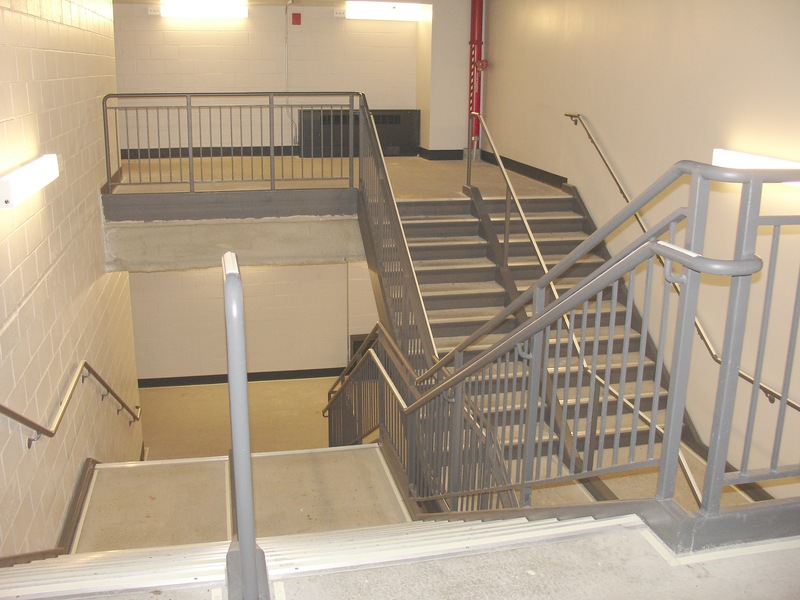 Make sure correct lighting is installed in the stairwells so that the photoluminescent materials are exposed to the proper charging source. Photoluminescent materials are charged by UV rays which are necessary to optimize afterglow. For above and below-ground level doors NOT on intermediate and final exit floors, be sure to run landing perimeter demarcation strips in front of the door to guide fleeing occupants past the door and down the designated egress path. As we near the end of National Building Safety Month, we urge everyone to make building safety a priority. If proper precautions are taken, photoluminescent systems can be instrumental in saving lives!